From Zimbabwe to Malawi, KRISTEN VAN SCHIE brings you a weekly round-up of news making regional waves. Morgan Tsvangirai’s body arrived in Zimbabwe at the weekend to a crowd of hundreds. But as the nation prepares to bury the man who was for so long the face of opposition in the country, the fate of his MDC-T party hangs in the balance. In the weeks before his death, both party deputies Nelson Chamisa and Elias Mudzuri claimed to be Tsvangirai’s anointed stand-ins while he received treatment for colon cancer in South Africa. A third deputy, Thokozani Khuphe, was considered by some as the rightful heir, appointed before either Chamisa or Mudzuri. Last week, the in-fighting ramped up. According to NewsDay, Chamisa called for an urgent party meeting “to resolve the festering leadership wrangles and possibly anoint him as successor”. Mudzuri responded by slamming Chamisa for his “unbridled ambitions for power”. Party secretary-general Douglas Mwonzora wanted to send all three deputies across the border so Tsvangirai himself could set things right from his hospital bed, reported NewsDay. The condolences poured in quickly. New Zimbabwean president Emmerson Mnangagwa praised his counterpart across the aisle for his “readiness to stretch and reach out across the political divide for a government of national unity after the polarising 2008 elections” when Tsvangirai beat Robert Mugabe in the first round of voting. South Africa’s own new leader Cyril Ramaphosa – who, like Tsvangirai, rose up into politics through the unions – said the opposition icon would be remembered “as a man who stood for the poor, stood by the poor and a man who is remembered for championing the bottom and the downtrodden”, reported eNCA. Back in Zimbabwe, Chamisa’s meeting went ahead and he was elected MDC-T head for the next year, reported AP. Both of his rivals boycotted the vote. With Tsvangirai gone, analysts aren’t holding out much hope for the opposition. 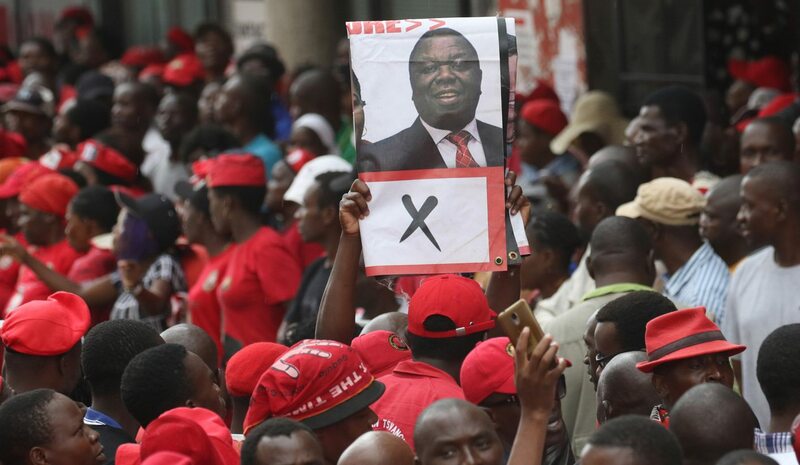 “We are going to see a major split in the MDC now that Tsvangirai, who was the glue that held the party together, is gone,” political analyst Alexander Rusero told AFP. The Zimbabwe Council of Churches urged unity, saying the country risks “sliding into a one-party state” as it heads towards elections with a weakened opposition. On that point, at least, Chamisa agrees. Malawi announced last week that six people had died since the start of a cholera outbreak late last year, with a vaccination campaign set to start on Monday. Health minister Atupele Muluzi announced that more than 440 people have been infected, reported Malawi24. According to Xinhua, more than 600,000 doses of an oral vaccine against the water-borne disease will be distributed among the affected districts.